Accomplishing the dream of becoming an astronaut always sounds realistic as a kid — until you grow up. But this week, we have an app that could possibly bring you one step closer to space, even as an adult. 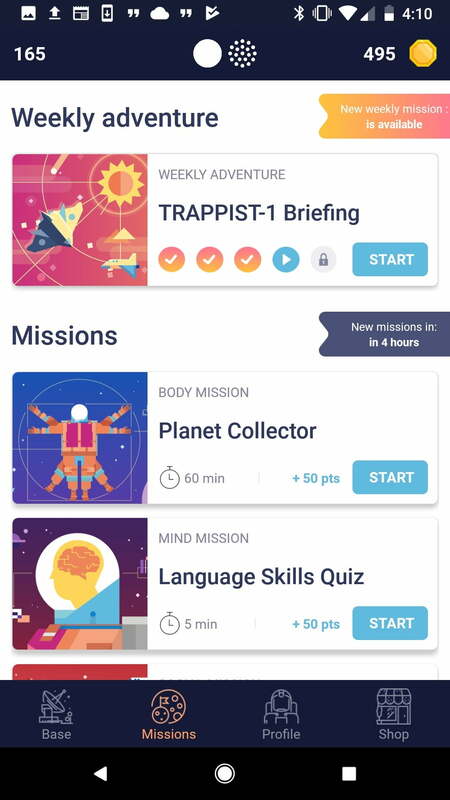 Space Nation Navigator — available on Android and iOS — is an astronaut training app filled with a wide range of activities from mind games to physical fitness challenges. 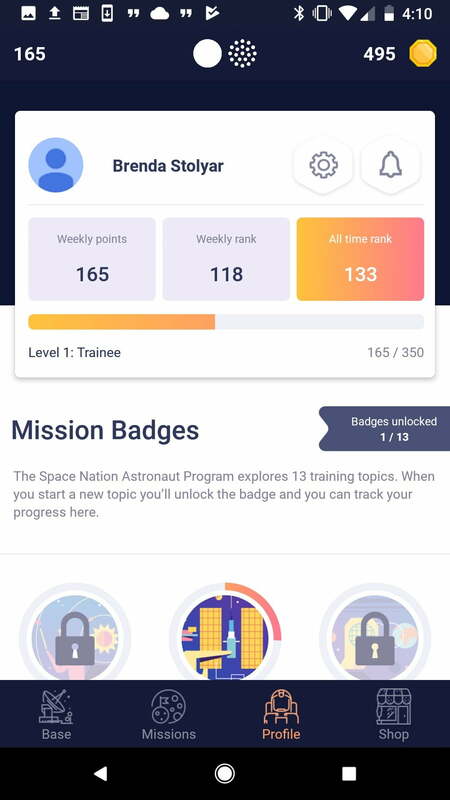 In collaboration with NASA, Finnish startup Space Nation hopes to give users insight into what it takes to be an astronaut through a fun mobile app. The app itself is separated into four sections — Base, Missions, Profile, and Shop — which you can switch between as you desire. 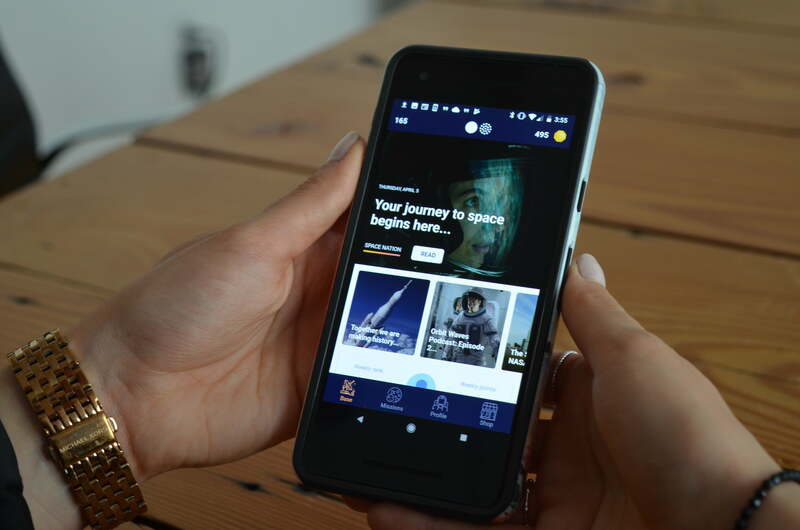 Under Base, you’ll find space related content you can read through or listen to, ranging from articles to podcasts. 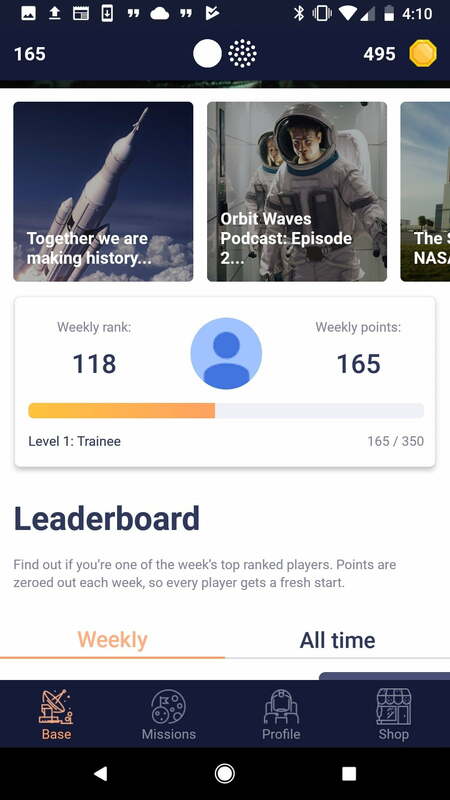 It’s also where you’ll see your own score such as weekly rank, weekly points, and level of training. Below your own score is a leaderboard you can reference to see the top ranked players of the week, along with the all time highest scores. Each week, your score gets cleared in order to give you the opportunity to score even higher next time around. If you’re wondering why scores are so important, it’s what defines the prize you could potentially win. After three 12-week cycles, you could be one of 100 trainees chosen to participate in a training camp. Out of those 100, 12 will then be chosen to experience a 10-week astronaut training camp located in Iceland, where one winner will then receive an expenses-paid trip to space. The fun begins under the Missions section, where you can play all different types of games to help boost your score. At the top, there’s a “Weekly Adventure” that brings you through a series of different games and activities to complete. These are meant to cover a full range of abilities, whether it’s a challenge for your brain or your body. You can also choose to do separate missions one-by-one if you want to jump between different skills to test out. In order to complete the weekly adventure, you have to beat each mission. At first I thought the games would be extremely easy to get through, but I was definitely mistaken. While I didn’t have the opportunity to test out the workout activities, I did try all of the mind missions, which made my brain feel like I was attempting to solve Sudoku puzzles on repeat. It definitely gets easier as you continue to become accustomed to how each game works. The one I found the most challenging along the way is called “Repair the Wayfarer,” where you have to save your ship after it was struck. This involves quickly multi-tasking as you designate the right people to fix each part of it based on their expertise, before time runs out. 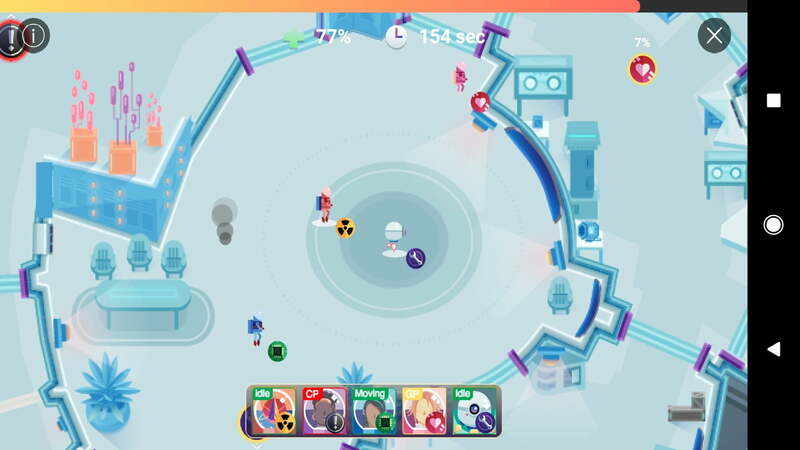 It might be tough to narrow in on your strategy at first, but after playing a few more times, I managed to move on from that level without (barely) breaking a sweat. To actually break a sweat, you can participate in body missions that you can simply incorporate into your daily exercise. For example, one mission requires you to run as the app alerts you when you’ve reached a specific checkpoint. It also uses GPS to track your runs along the way. 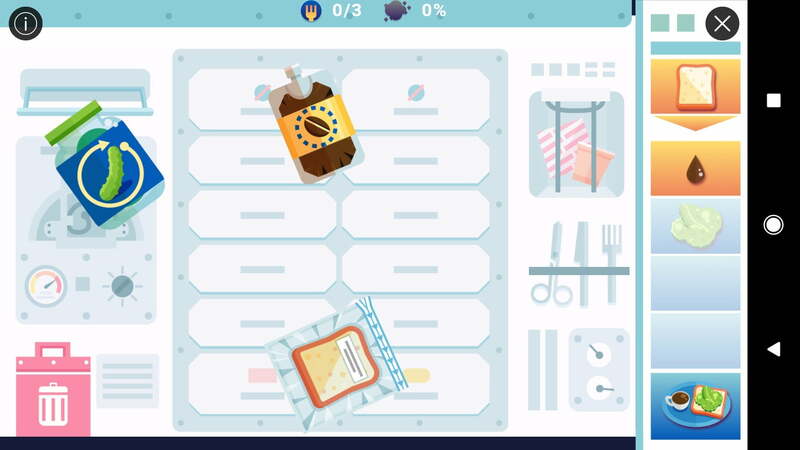 One game that definitely gave me a glimpse into what it must be like trying to function as normally as possible in space was called “Lunch Anyone.” This is where you have to cook meals from solids, pastes, and liquids without contaminating them. 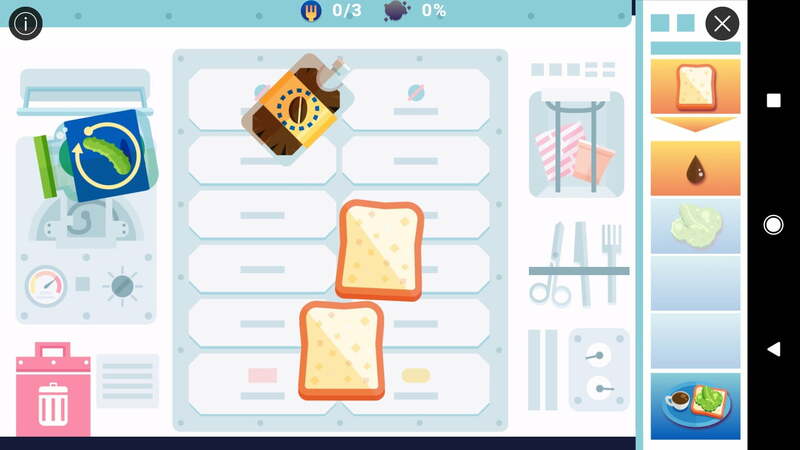 On the side of the screen, you’ll have different recipes to follow and put together. 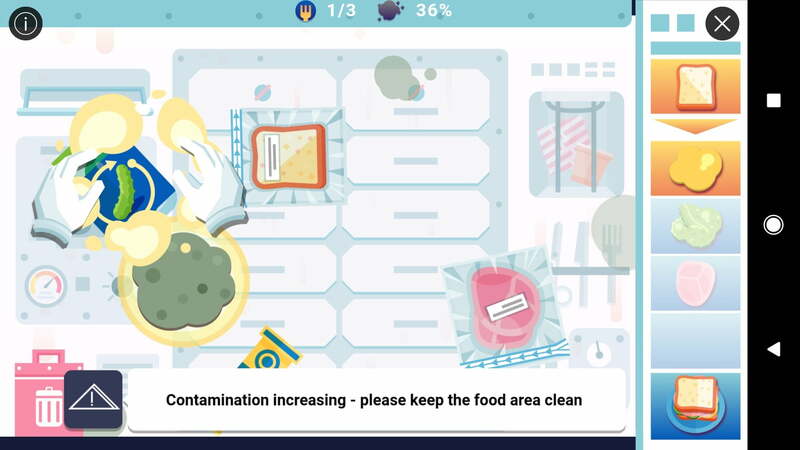 While that sounds simple, it’s tough to do with zero gravity, as all your ingredients float around. There’s also quizzes you can take — I specifically took one that tests your language skills and another for cultural understanding. There were questions that tested my knowledge of space terms, and how I should act if I were aboard a space ship with other astronauts. As you answer each one, you’ll receive a brief fact or explanation to help you learn as you go. So even if you don’t pass the first time, you’ll know the correct answer for next time. To keep track of all your progress, there’s a designated Profile section you can reference periodically. It’ll list your weekly points, weekly rank, and all-time rank. It’s also where you can keep track of all the different badges you’ve unlocked as you explore 13 training topics. 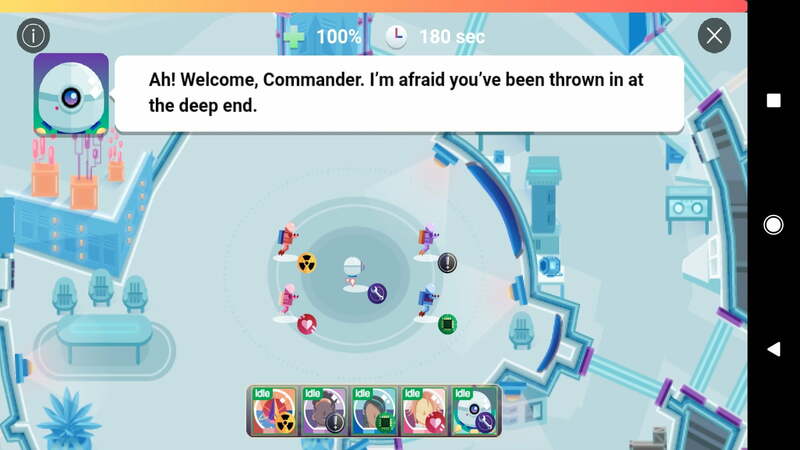 Space Nation Navigator is free to play, but there are microtransactions included, along with advertisements that pop up every once in a while. 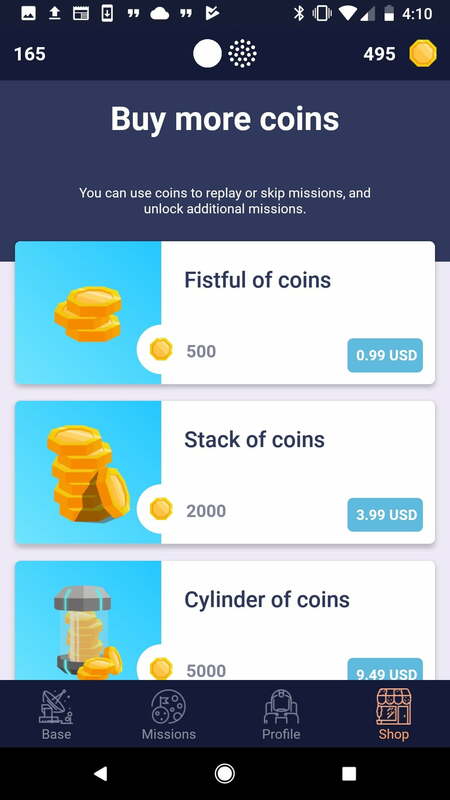 It’s important to take into account that if you decide to re-try the missions, you’ll have to spend the coins you collect throughout the game. You can purchase more through the Shop section, which — depending on how many you purchase — can range from $1 to $170.